Mack & Cheese was launched in early 2013. 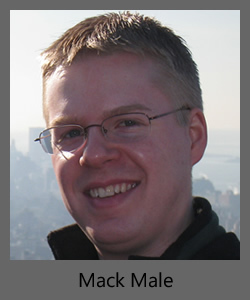 Mack is a software developer, entrepreneur, and social media guy. He’s the?Product Development?Manager for Questionmark Computing, a leading provider of testing and assessment technologies, and is the founder of Paramagnus Developments Inc., an Edmonton-based social software company. In 2009 Mack was named one of Edmonton’s Top 40 Under 40 by Avenue Edmonton, and in 2010 he was named one of Alberta’s Next 10 Most Influential People by Alberta Venture. His blog was named “Best Local Blog” in Vue Weekly’s 2012 Best of Edmonton, and he was also named “Best Local Twitter”. Mack is currently a member of EEDC’s ONEdmonton Leadership Forum and Downtown Vibrancy Task Force, the Edmonton Journal’s Community Advisory Board, the 104 Street Steering Committee, and numerous other boards and committees throughout the city. 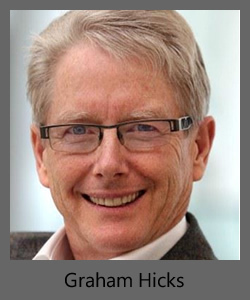 Graham Hicks is a freelance Edmonton Sun journalist, an entrepreneur, family man and commentator. His journalism career with the Edmonton Sun, from 1981 to 2010, was spent thinking, talking and dreaming about the city in which he has lived and worked for 34 years, Edmonton, Alberta, Canada. He currently has his own communications and commentary company, บา คา ร่า วัน ละ 500Hicks Biz. Graham has received the Queen’s Golden Jubilee Medal for community service, Sun Media’s J.D. Creighton Award for lifetime achievement, the Grant MacEwan College’s Distinguished Citizen Award and The Rotary Club of Edmonton 2008 Integrity Award. On the eve of his retirement from the Edmonton Sun, the City of Edmonton declared November 8, 2010 to be “Graham Hicks Day” in Alberta’s capital city. His absolute favorite pastime? Chronicling the evolution of the city/society in which he lives, hopes to live for the rest of his life, and which he hopes will provide opportunity for his children to lead fulfilled lives, should they chose to stay.